A top official of DMO said that 7 out of the 9 samples collected had the presence of coliform bacteria. According to officials, the ice meant for commercial/industrial purpose is bought widely by the street vendors and juice shops and stored under poor hygiene. 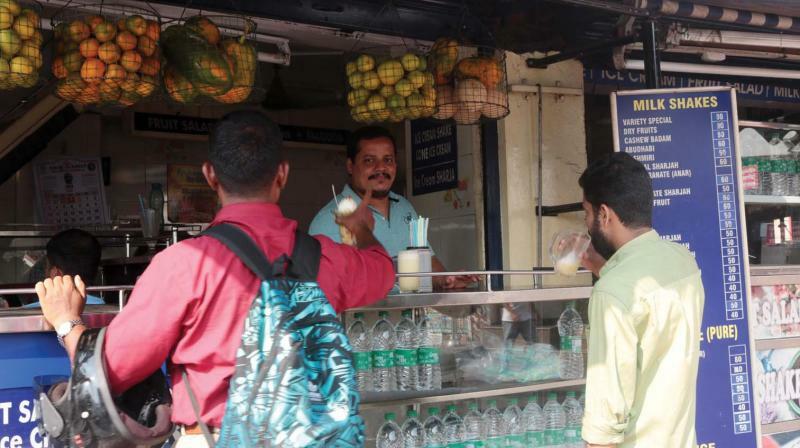 Thiruvananthapuram: The District Medical Office has found the presence of Coliforms in several of the samples collected from juice shops in the inspections carried out recently at various part of the state capital. According to officials, the ice meant for commercial/industrial purpose is bought widely by the street vendors and juice shops and stored under poor hygiene. A top official of DMO said that 7 out of the 9 samples collected had the presence of coliform bacteria. The number of acute diarrheal disease (ADD) is on the rise in the state since the advent of summer. In the past one month, a total of 17,495 cases were recorded taking the total number of ADD cases reported in 2019 to 1,37,543 cases. “Ice factories in the district should be brought under the scanner. We have given a report to the Collectorate and Commiss-ionerate of Food Safety. From the inspections, what we understood was that the ice is brought from Bheemapally. Almost every wayside shops and juice shops are using this ice for preparing juice,” said the official. The official said that the fruits used for the purpose are also rotten or not fit for consumption. “These rotten fruits are used along with contaminated ice and serving the public. A combine inspection should be carried out,” said the official.